Todays work was alot about prepping for welding and finally doing some welding. 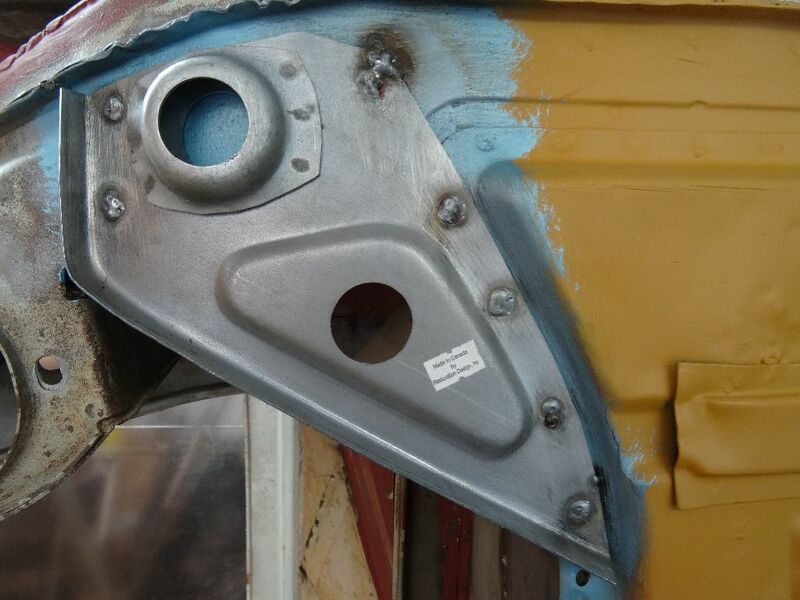 The areas where the new jack plates connects to the body was media blasted and painted with a weldthru primer (the blue stuff) The same paint was applied to the jackplates where there will be metal to metal contact and subsequently hard to get to with the yellow primer. 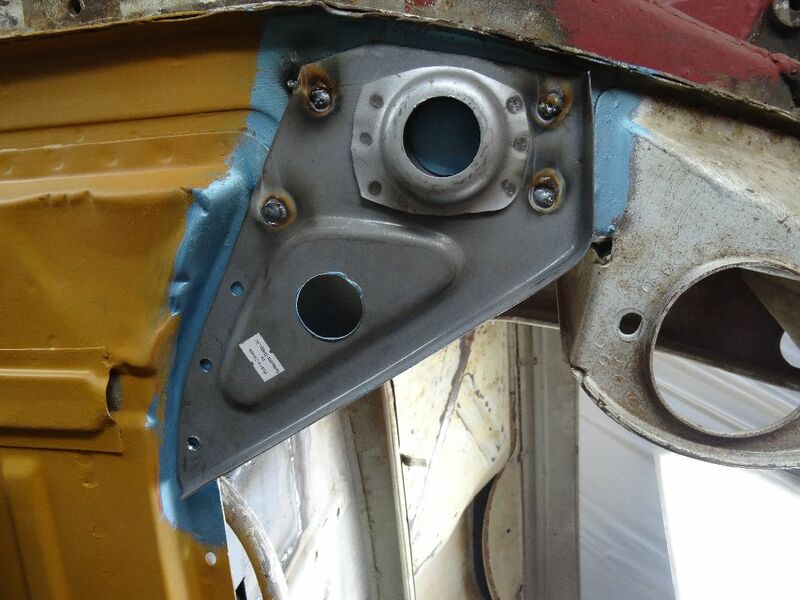 I drilled some holes in roughly the same locations as the old spot weld and then plugwelded the new panels in place. The shape of the panels was excellent and only a few taps of the hammer was needed to get a good fit. 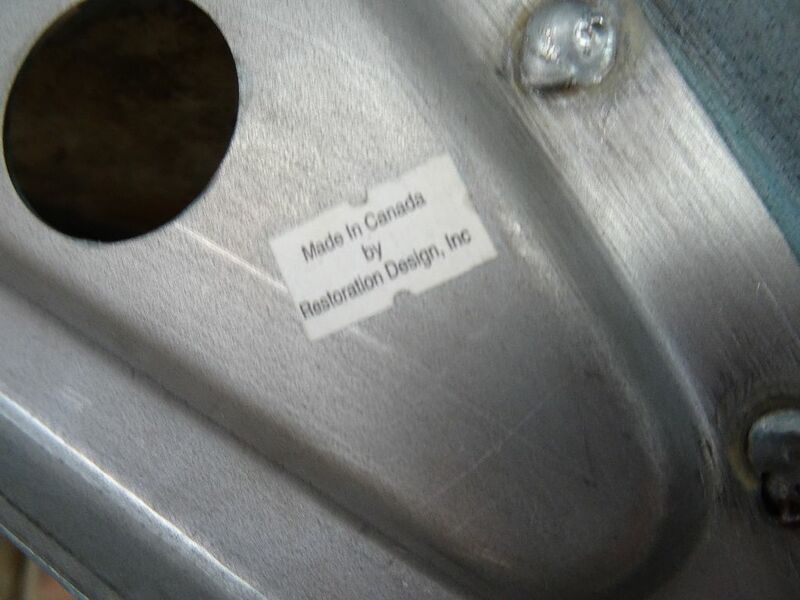 Great work from Restoration Design. 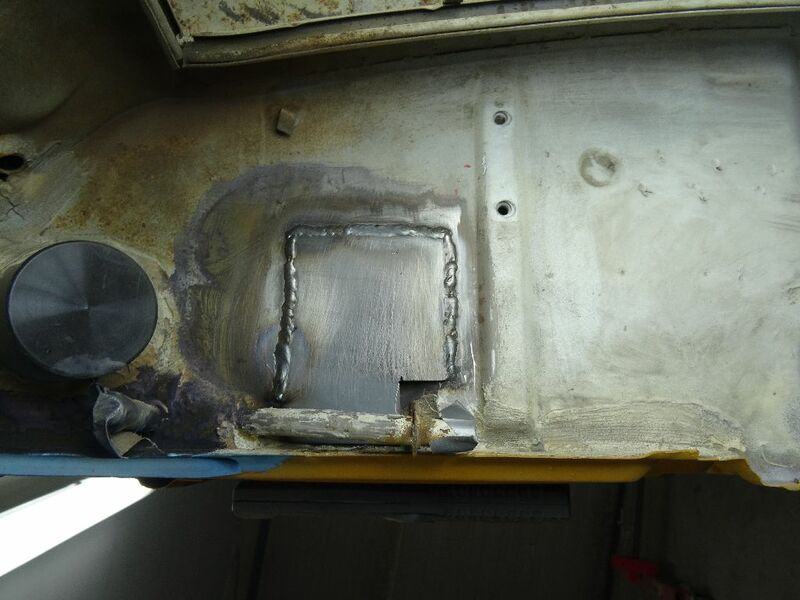 I also started welding in the reinforcment panels for my rear suspension kit from Tangerine Racing. More on this in tomorrows post.